An idyllic combination of urban living with the serenity of nature makes Botanique a home like no other. Botanique At Bartley is located at the junction of Upper Paya Lebar Road and Bartley Road. Right beside Bartley MRT Station in District 13, Singapore. Being located right next to to the city fringe and a few steps away from Bartley MRT Station, it represents a prime location for a secluded and serene lifestyle right in the heart of the city. Transport options available at Botanique At Bartley are unparalleled. 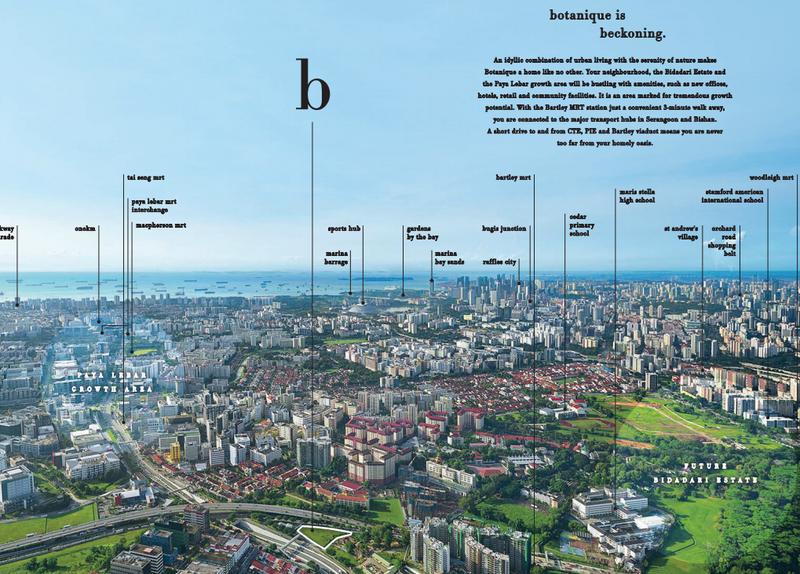 Located off Upper Serangoon Road & Buangkok Drive, cabs and buses are aplenty around these roads and Botanique At Bartley represents a choice location for your next home. Botanique At Bartley is located just opposite Bartley MRT Station. Travelling to various parts of Singapore via MRT is therefore very convenient and at your finger tips. 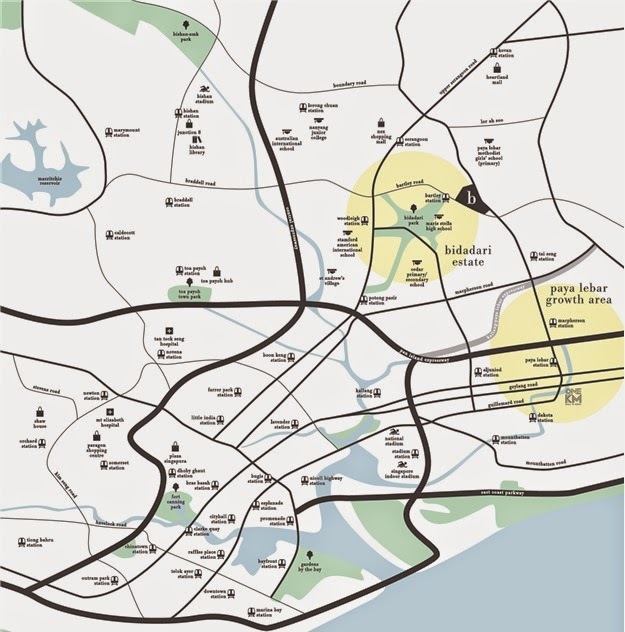 For car owners, the Kallang Paya-Lebar Expressway (KPE) is just a short drive away for you to travel to other parts of Singapore. In terms of shopping, dining, entertainment and leisure facilities, Botanique At Bartley’s future residents can head down to NEX Mall, a major shopping mall in the North East, which is just a train station away. At NEX, residents can find the daily conveniences all under one roof from supermarkets, food courts, cinemas, fast food joints, departmental store, eating establishments and retail shops. Alternatively, they can also go to Heartland Mall which is 2 stations away. When feeling to indulge in economical and yummy local food, Botanique At Bartley’s future residents can head down to one of the major food centres nearby. Food centres such as Joo Seng Food Place, Hougang 105 Hainanese Village Centre, Circuit Road Block 80 Market & Food Centre, Serangoon Avenue 3 Food Centre & Market and Kovan Hougang Market & Food Centre, are just short radius away from Botanique At Bartley. For Botanique At Bartley’s residents who have school going children, reputable local institutions Botanique At Bartley includes Maris Stella High School, Cedar Primary School, Yangzheng Primary School, Canossa Convent Primary School, Xinghua Primary School, Bartley Secondary School, Saint Gabriel’s Secondary School, Cedar Girls’ Secondary School, Zhonghua Secondary School, Yuying Secondary School, Macpherson Secondary School and Nanyang Junior College. This allow parents to be least worry about their children’s education needs. There are also numerous preschools and kindergartens for the parents with young. As for nearby international school, the DPS International School is approximately 1.3 km away from Botanique At Bartley. When in need a of touch of green respite and tranquility, Botanique At Bartley’s future residents can go to the nearby Surin Avenue Neighbourhood Park and Serangoon Community Park. Its future residents can also take a jog over at the Serangoon Stadium. Preview for Botanique At Bartley is coming soon. Please do register your interest for showflat viewing. Hi! I am interested in Botanique At Bartley, please contact me.